Workshop on "EU water policy"
The European Water movement is an open, inclusive and pluralistic network of movements, social organizations, committees and trade unions at the European level that aims to reinforce the recognition of water as a commons and access to water and sanitation as a fundamental universal right, an essential element for all living beings. In that sense, the members of the European Water Movement have followed quite closely the debate about water charges in Ireland. 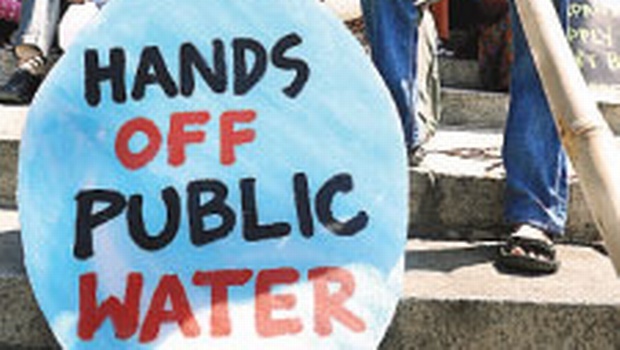 We are deeply worried about how the Troika has imposed rules that threaten the Human Right to Water and Sanitation and that lead to privatise water management across Europe. Therefore, we would like to share with you some reflexions. We welcome the creation of the independent Commission in Ireland and we wish more similar efforts will be made at the European level.